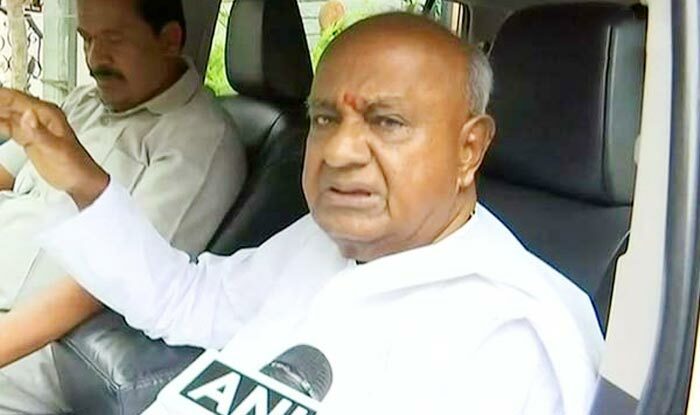 In Karnataka, HD Deve Gowda will contest from the Tumkur parliamentary constituency as the combined candidate of JDS & Congress, stated news agency ANI. Lok Sabha Elections 2019 LIVE: JP Nadda of BJP said that the party will declare 46 seats today. He added that Shripad Naik will contest from North Goa, Narendra Singh Tomar from Morena, Janardan Mishra from Reva, Rakesh Singh from Jabalpur, Anurag Thakur from Hamirpur (Himachal Pradesh), Suresh Kashyap from Shimla (Himachal Pradesh), Kishan Kapoor from Kangra (Himachal Pradesh), Nishikant Dubey from Godda (Jharkhand) and Sumalatha as the independent candidate from Mandya (Karnataka). Others include Jayant Sinha from Hazaribagh, Arjun Munda from Khunti, Vidhyut Varan Mahatao from Jamshedpur and Pashupati Nath Singh from Dhanbad. Lok Sabha Elections 2019 LIVE: PDP leader Mehbooba Mufti announced that her party will not contest for Jammu and Udhampur seats in the larger interest of the state so that the secular votes don’t get divided. The party is yet to decide on Ladakh. Lok Sabha Elections 2019 LIVE: In Jammu and Kashmir, the leader of Peoples Democratic Party, Mehbooba Mufti will be contesting from Anantnag parliamentary constituency. 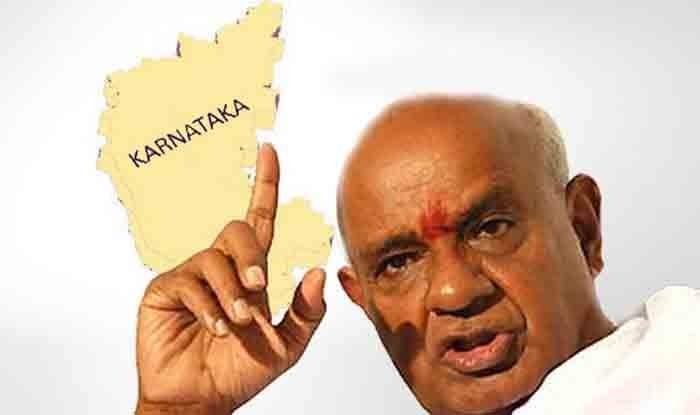 Lok Sabha Elections 2019 LIVE: In Karnataka, “HD Deve Gowda will contest from the Tumkur parliamentary constituency as the combined candidate of JDS and Congress,” said Ramesh Babu, the spokesperson of Janata Dal (Secular) party. New Delhi: The National Democratic Alliance (NDA) released its second list of candidates for 39 out of the 40 Lok Sabha seats in Bihar at the state Bharatiya Janata Party (BJP) office on Saturday. Union Minister Ravi Shankar Prasad replaced MP Shatrughan Sinha and will contest from Patna Sahib. The BJP dropped four sitting MPs from Maharashtra while announcing the second list of six nominees for the Lok Sabha elections today morning. The candidates are Maharashtra Minister Girish Bapat (Pune), Bharati Pawar (Dindori), Smita U. Wagh (Jalgaon), Kanchan R. Kul (Baramati) and Jaysidhesvar Swami (Solapur) and Pratap Patil Chikkalikar (Nanded). The leaders who have been dropped include- Anil Shirole (Pune), Sharad Bansode (Solapur), AT Patil (Jalgaon) and Harishchandra Chavan (Dindori). Late on Friday night, the Bharatiya Janata Party (BJP) released the third list of 36 candidates from Andhra Pradesh, Assam, Maharashtra, Odisha for the Lok Sabha elections 2019. The BJP also released a list of 51 candidates for elections to the legislative assembly of Andhra Pradesh, 22 candidates for Odisha and 1 candidate for the by-election in Meghalaya’s Selsella. Congress wasn’t far behind as it also released the 7th list containing names of 35 candidates for the Lok Sabha elections 2019. Uttar Pradesh Congress Committee (UPCC) chief Raj Babbar has been shifted to Fatehpur Sikri from Moradabad while Bahujan Samaj Party (BSP) chief Mayawati’s former aide Naseemuddin Siddiqui has been given a ticket from Bijnor. Congress President Rahul Gandhi will begin the election campaigning for the Lok Sabha polls 2019 in with a rally in Bihar’s Purnia district and then address another rally in Malda district’s Chanchal in West Bengal on Saturday. Meanwhile, the Madhya Pradesh BJP poll panel recommended External Affairs Minister Sushma Swaraj’s name for Vidisha seat in the state in the upcoming polls. However, Swaraj announced she would not be contesting the polls because of her ill health. Swaraj was the lone candidate recommended for the seat by Pradesh Election Committee (PEC) of BJP to Central poll panel of the party.